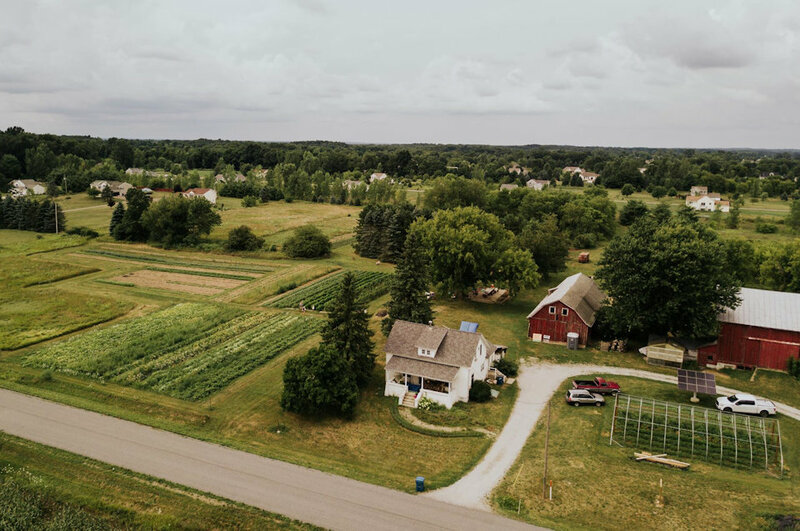 Plainsong is a Community-supported Agriculture (CSA) farm and ministry located outside of Rockford, Michigan. Nurya Love Parish, an Episcopal priest, is the executive director of Plainsong. She co-founded Plainsong in 2016 with Mike and Bethany Edwardson, who serve as farm managers. The Edwardsons are members of Courtland-Oakfield United Methodist Church, which Mike says is just a stones-throw from Plainsong. 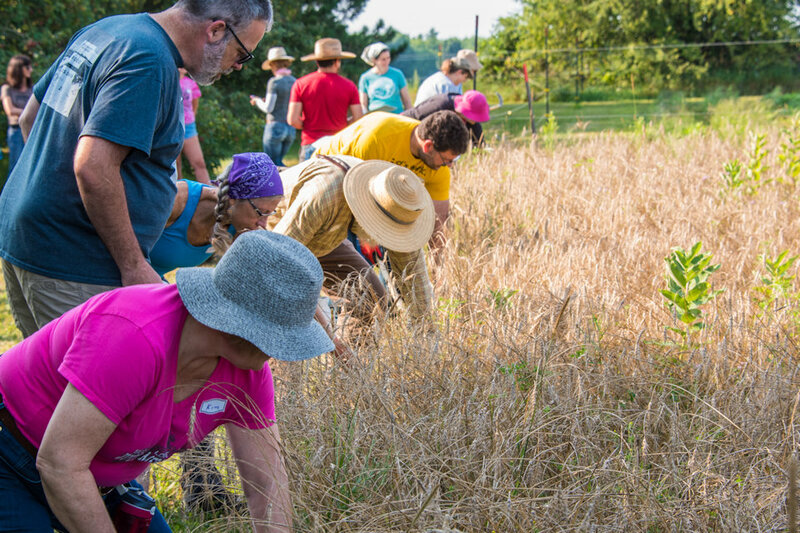 Plainsong is about food production … “we grow food for people.” Members and neighbors receive shares of the harvest each week of the growing season. 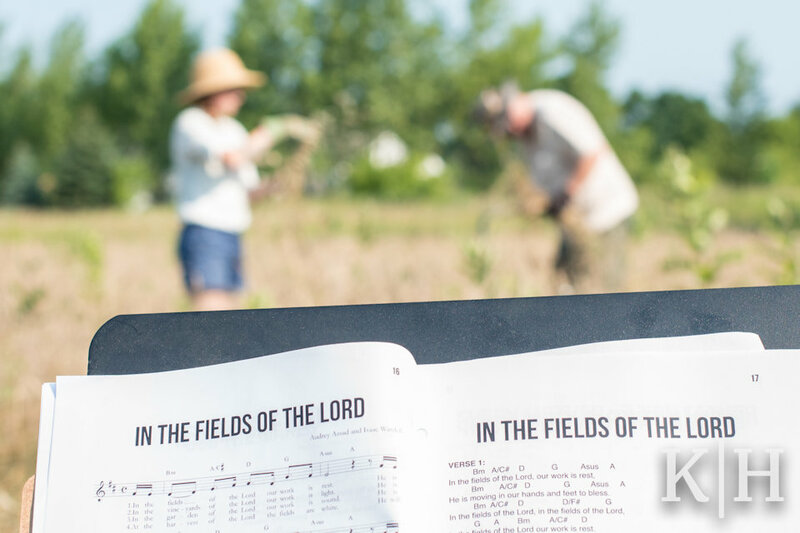 But Plainsong is also a spiritual experience … “we grow people for God.” Programs like Sabbath at the Farm, Heirloom Wheat for Communion Bread, and the Christian Food Movement nurture faith formation, community engagement, and action for justice. Mike’s role is in food production. “I make sure that the farm works and produces fruits and vegetables and that people get all the food they need,” he says. It’s not a farmer’s market. People from the area, including middle school children, get involved in sustainable techniques and environmental education with Mike’s help. “Farm members assume the risks of farming along with the farm manager, learning more about their place on earth.” Eaters are also growers. In addition to his work as farm manager, Mike is also the director of youth and family ministries for Courtland-Oakfield UMC. Some of the youth activities take place at Plainsong. “The things we do here grab the youths’ attention and speak to the values of the younger generation when it comes to sustainability and doing more than earning a profit,” Mike reflects. Bethany’s title is Community Engagement Coordinator. She is excited about, “getting hands in the dirt as a whole family.” In addition to working with donors and members, she oversees the Heirloom Wheat Program. 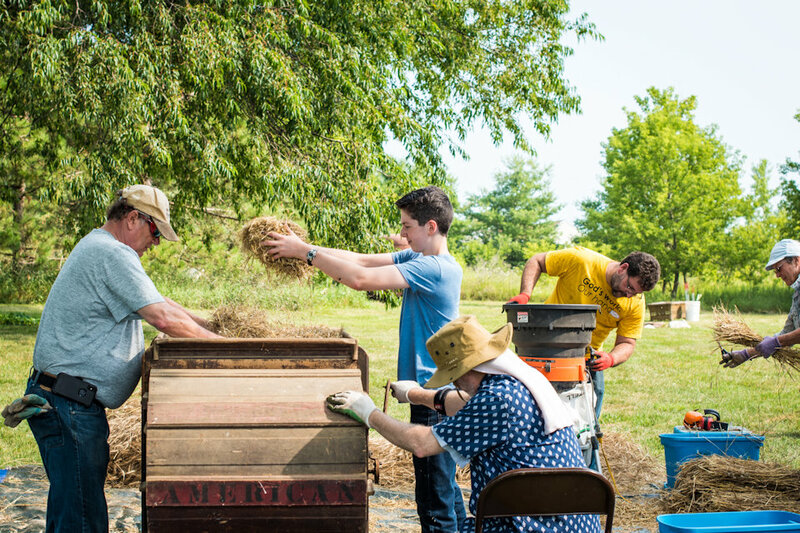 Between 10-20 congregations participate at some level, from buying Plainsong-raised flour to growing and winnowing the wheat that will be baked into communion bread. It’s ecumenical in scope and spirit. Mike’s own pastor at Courtland-Oakfield, the Rev. Kim DeLong, has purchased a share in Plainsong’s Community Supported Agriculture. “I was intrigued by their all organic, no-till farming, and the fact that the soil is a living organism,” Kim says. Several other couples from the church helped Kim and her husband, Cam, with the planting and the winnowing of the wheat last year. Others have kneaded the flour and baked the communion bread. Their second crop is now over-wintering in the field. Wyoming Park United Methodist Church, the other congregation served by DeLong, also plans to buy a share of flour from the 2019 harvest. And now others have the opportunity to let the earth teach them, thanks to the efforts of Nurya Love Parish, Mike, and Bethany Edwardson. A journey to fresh food and refreshment of spirit can begin at Plainsongfarm.com.